A driver's licence creates a huge sense of freedom but it comes with big responsibilities. Thousands of crashes result in serious injuries and death each year, making driving one of the riskiest things we do on a daily basis, so it's vital you maintain your driving skills and knowledge of the road rules. Remember the common mistakes drivers make. Ensure all occupants (including you) have seatbelts on and that children are in their correct restraints. In good driving conditions, drive within the speed limit but drive slower in bad weather, heavy traffic, and near children and pedestrians. Stopping takes longer than you think. The legal blood alcohol level is 0.05. Don't drive if you have any doubt that you're over. Severe penalties apply for drink or drug driving offences. Police conduct random drink & drug roadside tests. A lapse in concentration increases your risk of a crash. Avoid using mobile phones, eating, drinking, smoking and distractions caused by passengers. Tiredness or fatigue can cause crashes. Rest every 2 hours. Get out of the car, get fresh air and some exercise. 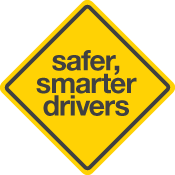 Now head over to the Safer Driving section for a refresh on being a safer, smarter driver. There are rules you must follow when driving. Speed limits, traffic lights and giving way to pedestrians and other vehicles are just the start. But above all, consider other road users. Your responsibility is minimising your risk of crashing by driving safely and obeying the road rules. Breaking road rules or licence conditions means demerits, a fine, or ultimately, losing your licence. For more information go to Driving laws, offences and penalties. It is critical that all drivers are medically fit to drive. Medical conditions causing lapses of attention or lack of control of a motor vehicle can have disastrous effects on you, your family, your friends or other road users. If you have a medical condition that may affect your fitness to drive, or are taking medication that can affect your driving, you should discuss this with your health professional. Go to information about renewing and updating your driver's licence.